Negotiation is where the rubber meets the road in real estate transactions, especially if you’re selling your home on your own. Most of us instantly think of dollar amounts when the topic comes up – and price is certainly a top concern – but there’s also a whole laundry list of details to iron out before a buyer and seller can come to terms. Here’s a rundown of what to expect and how to successfully negotiate as you buy or sell your home. Be prepared. The more data you have at your disposal, the better. For example: do some research on comparable homes in your area. What are they priced at? What are they selling for? You may have a rough idea, but if you get an accurate home valuation or get your own independent appraisal of a home, you can cite facts to counter any objections about price. Listen carefully. The best negotiators are typically patient, respectful listeners. Paying close attention when the other side speaks will not only encourage them to do the same when you speak. It will arm you with all the little details that can complete a deal. Say a buyer wants the washer and dryer in your basement. Even if you don’t concede right away, make a mental note. You want to have a list of concessions in your back pocket that you know will sweeten the pot and potentially help you reach a final agreement. Stay calm, cool and collected. Never let the personality on the other side distract you from your goal, which is to complete the transaction. You only have two people’s agendas to keep in mind—yours and the person you’re negotiating with. You share the same goal. Keeping that simple fact top of mind will help you focus on finding win-win situations – not getting caught up in emotions. Be willing to walk. It’s tough to negotiate if your back is against the wall. If possible, have a back-up plan. As a home buyer, can you secure alternate living arrangements in case you don’t find a home you love right away? As a seller, can you rent or lease your property if you don’t receive an acceptable offer? You’ll have the most leverage in any negotiation if you’re not dependent on making a deal. Property Contracts – What’s Up for Negotiation? Closing costs: These consist of the one-time fees and first or final payments either side needs to make. For the buyer they can include – deep breath – recording fees, title insurance fees, lender fees, inspection fees, appraisal fees, and many others. The seller has their own fees to manage, from owner title insurance to home warranty premiums. Taxes: Just seeing the word can be a downer. States, cities or counties may have transfer taxes to account for, which are often considered part of the seller’s closing costs. In many locations, however, these taxes can be paid by either the buyer or seller. Whichever side you’re on, it may be worth your while to do some research on what the custom is in your area. You may be able to ease the burden of the other side and gain favor on the overall price of a home. Earnest Money Deposit: This is a deposit included with an offer to show a buyer is serious about purchasing the home. These deposits are generally 1-10 percent of the asking price and will eventually get credited toward a down payment. A low amount may drop the value of an offer below other offers, while a high amount can shoot an offer to the top of the list. Once you’re ready to draw up an offer, you can enlist the help of a licensed real estate agent or we can provide you with the state-specific real estate forms you’ll need. Closing Date: Timing may not always be everything, but it’s a critical aspect of most purchase agreements. Everyone has their own schedule to keep. Deciding on an agreeable closing date for both parties and how long a home seller can stay in the home is a key aspect of most negotiations. If you have some leeway on when you need to move in or move out, offering to let the other side choose the closing date can help you gain ground when it comes to price. Contingencies: Contingency clauses are ways for buyers and sellers to get out of a contract. For example, an offer may be made contingent on an inspection, or securing financing, or the sale of another home. Inspection contingencies are pretty much standard so a buyer can make sure the home is up to snuff. Beyond that, limiting contingencies on either side will make an offer much more appealing. Inclusions: These can range from gazebos and home theatres to rugs and light fixtures. Any item on a property can be included in a sale, whether it’s because the buyer requests it or the seller offers it. Regardless of which side has more leverage, inclusions are often useful bargaining chips to make it through the final laps of a negotiation. Whether you’re buying or selling, it’s important to define your top priorities before negotiating. Decide on the maximum amount you’re willing to spend, or the minimum amount you’re willing accept. Set a date for when you need to move in or move out. Create a list of factors that your offer to buy or sell is dependent on. By separating your needs from your wants, you’ll create guideposts for when you can stand firm and when you can afford to compromise. With that said, compromise doesn’t always mean splitting the difference. If you’re making counter offers on the sales price, for example, try moving in smaller increments than the other side. If you’re selling, and the buyer raises an offer by $3,000, counter by lowering your previous offer by $1,000 and throwing in an inclusion. When you do reach a point where you split the difference, it will be a higher level because you gave up less ground to reach that point. When you enter negotiations, half the battle is standing your ground without letting things get personal. A great way to achieve this is by being the strong, silent type. If you’ve stated your price and terms, wait for a response. Resist the urge to defend your position unprovoked. Often, silence is the most powerful way to show you mean business. Once you’ve put the ball in someone else’s court, wait for it to come back to you. Then, listen attentively. Show you appreciate where they’re coming from. No matter how much you disagree, let the person know you take them seriously to prevent fanning the flames if emotions start to run hot. Net proceeds: Sellers don’t necessarily want the highest price for a home. In many cases, they’re more interested in the net gain from a sale. This is determined by subtracting the seller’s closing costs, liens and loans from the sale price. Say a buyer offers a few thousand less than the asking price but can show a seller that there will be fewer closing costs. The seller may be able to net more and prefer that offer over a full-price offer. Occupancy: The day a home buyer can occupy their new digs does not always coincide with the closing date. An occupancy date is negotiable, and many sellers need a little cushion to move out or buy a new home to live in. One of the most common concessions that a buyer can give a seller is to push back a closing date, or even allow a seller to stay in the home after a closing. Repairs: After a contract has been signed, negotiations often pick back up after a home inspection. Typically, a buyer will order an inspection to reveal any safety or structural issues. If a buyer included an inspection contingency, all issues are negotiable and can lead to a deal falling through. It’s not realistic to expect a seller to handle every cosmetic repair. As issues start getting costly, however, the seller should address them. In most cases, the smoothest option for handling repairs is for the seller to provide the necessary funds. When a buyer asks a seller to handle them instead, the results aren’t always to the buyer’s liking and can turn a good deal sour. Cash due at closing: A seller covering even one percent of closing costs can be much more beneficial to a buyer than knocking a few thousand dollars off the asking price. The reason is that closing costs need to be paid upfront in one lump sum. Most buyers would rather have cash in their pocket than pay a few more dollars per month over the duration of their home loan. 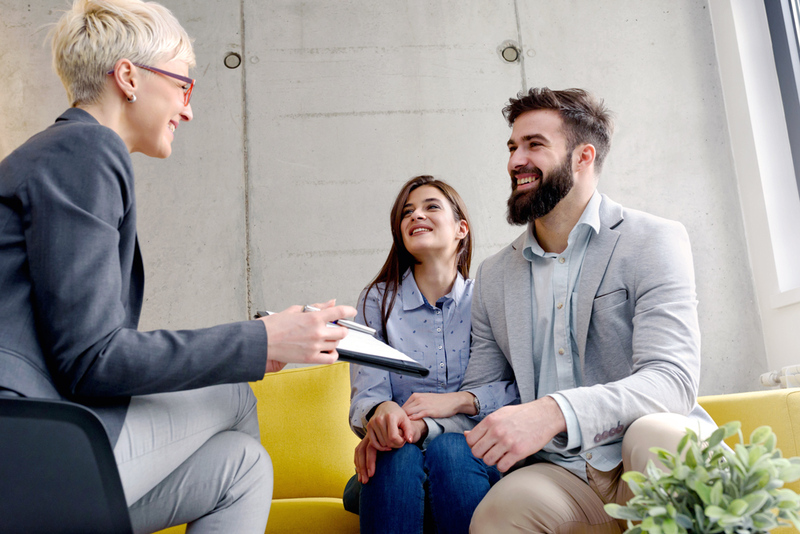 For more on the key areas to negotiate as a home buyer – including mortgage points – check out the Zing blog by Quicken Loans. When negotiation becomes a tug-of-war, it generally results in tension and someone walking away from the deal, with both parties left unhappy. Real estate transactions tend to be much more civil and rewarding when the goal is to create a win-win situation. When you offer a concession, ask for one in return. Develop a give-take rhythm to build momentum towards a mutually beneficial outcome. Not only will you feel better about yourself when you sign the dotted line, you’ll probably walk away with more of the things you wanted to begin with.